From dawn til dusk Luxurious Paradise delivers ocean views and luxury on a grand scale. 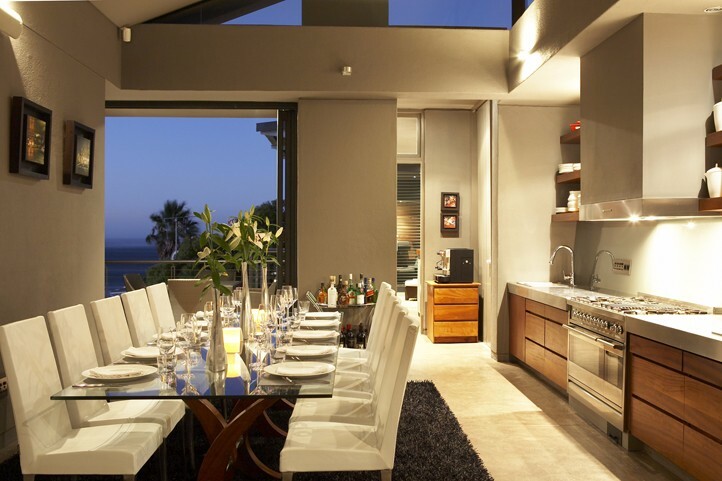 This is a magnificent, roomy villa in one of Cape Town’s most exclusive suburbs. It is just a short walk from the beaches of secluded Sandy Bay and surfing favourite Llandudno. The awe-inspiring Atlantic paints a glorious backdrop and the villa matches this with opulent furnishings and contemporary décor. Completing the picture is first-class service in the shape of your own butler and chef. Sit back, relax and let this villa serve up a vacation to remember. 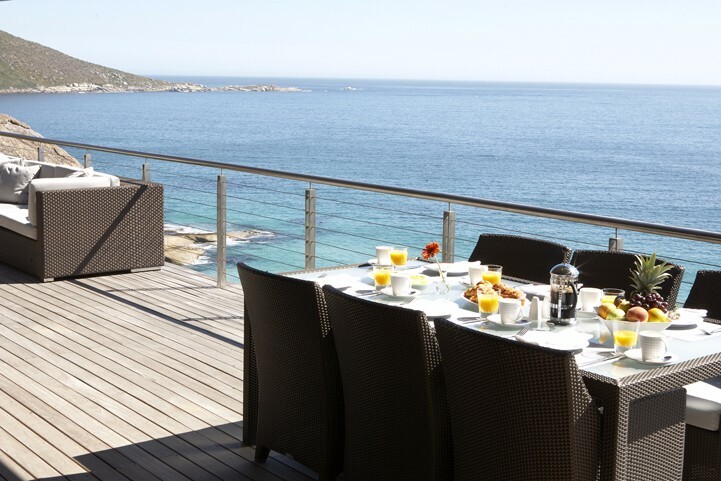 Your hand-picked team of expert staff will be on hand to cater for all your needs, from fresh juice on the breakfast terrace to cocktails on your private deck. 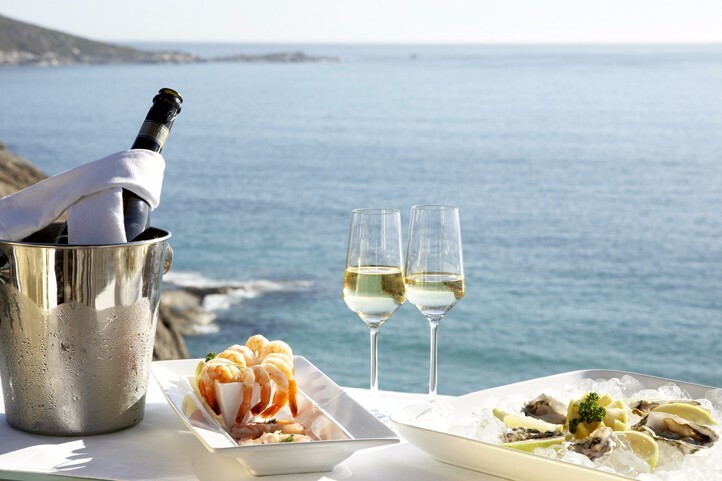 They will encourage you to sample the best South African wines and food in the most idyllic of surroundings. Ask them for recommendations of the best things to do near Llandudno, a quiet, upmarket town close to a range of Cape attractions. Clad in weathered wood and natural stone, this delightful villa blends artfully into its idyllic hillside surroundings. 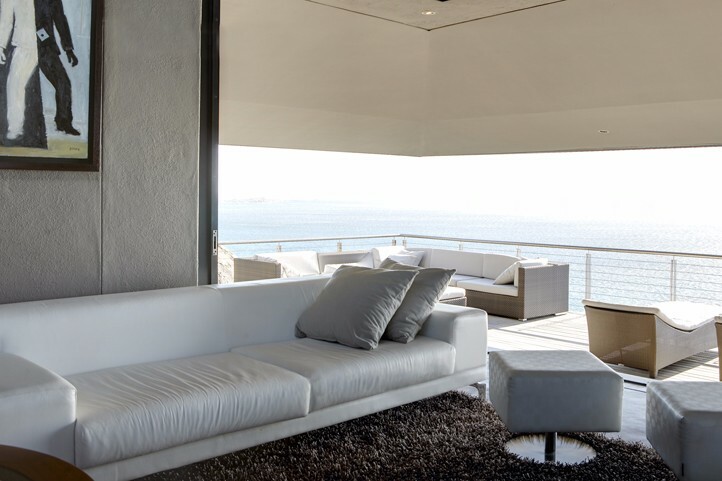 Floor to ceiling glass doors slide back to reveal exceptional views and a feast for the senses. Listen to the waves break on the shore bringing with them the scent of the ocean. Comfort and luxury are all around you so slip into the slender heated pool, relax on a lounger on the deck or gather around the cozy fire. 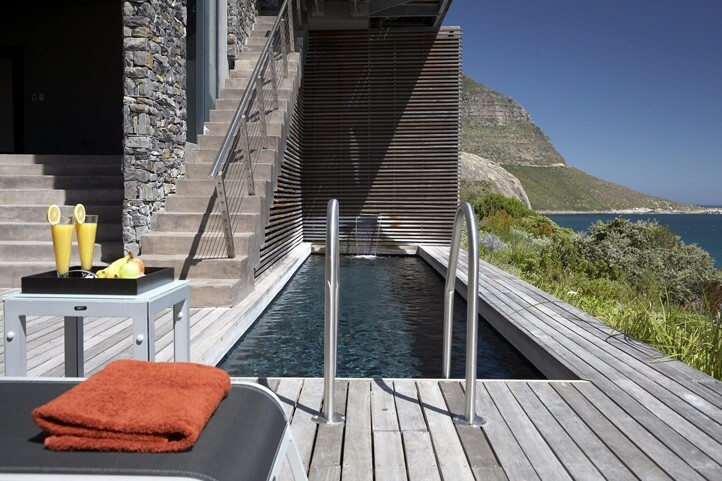 The villa’s six expansive suites are spread over two levels to maximise the magnificent ocean and mountain views. They boast a range of delightful touches designed to relax and refresh you. 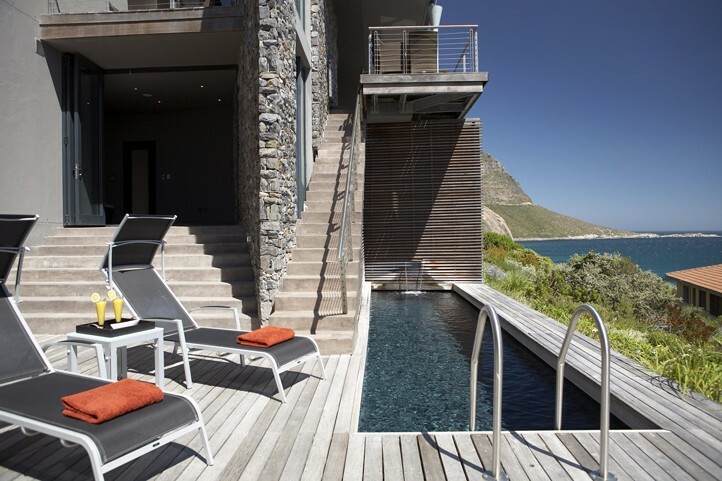 Each one opens on to private decks overlooking the spectacular coastline. 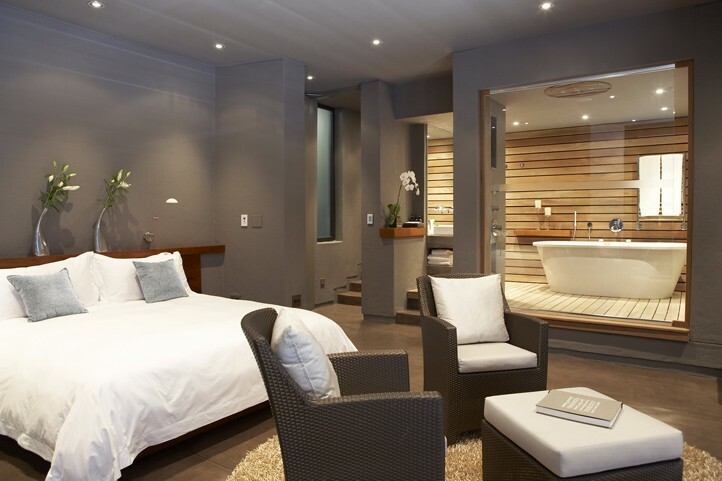 King-sized beds provide extra comfort while air conditioning moderates the daytime heat and evening chill. 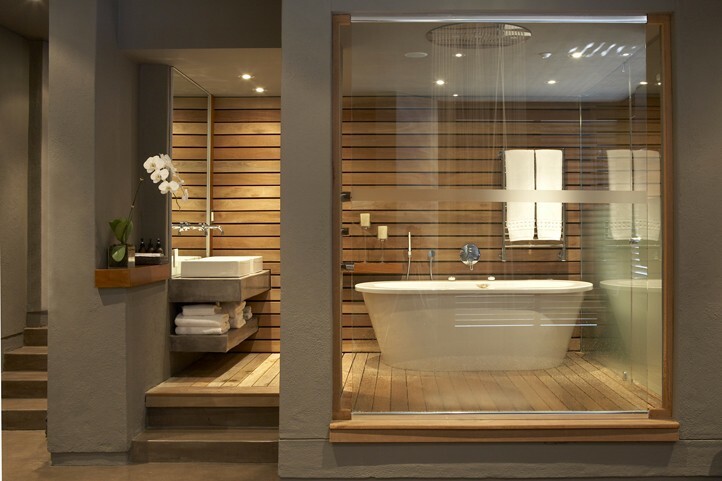 Rain-effect showers and spacious tubs are highlights of the en-suite bathrooms stocked with a host of fragrant, revitalising toiletries. Llandudno is renowned for its quality of life so there are no street lights or shops to clutter your stay. 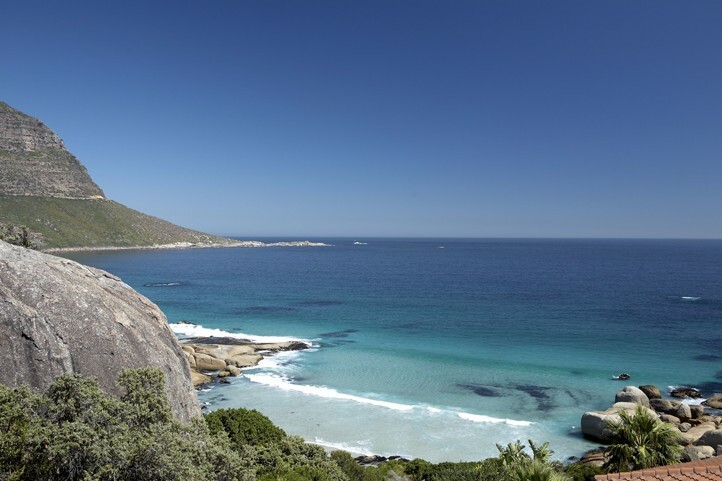 However, a short drive away you’ll discover the delights of popular Camps Bay and picturesque Hout Bay. 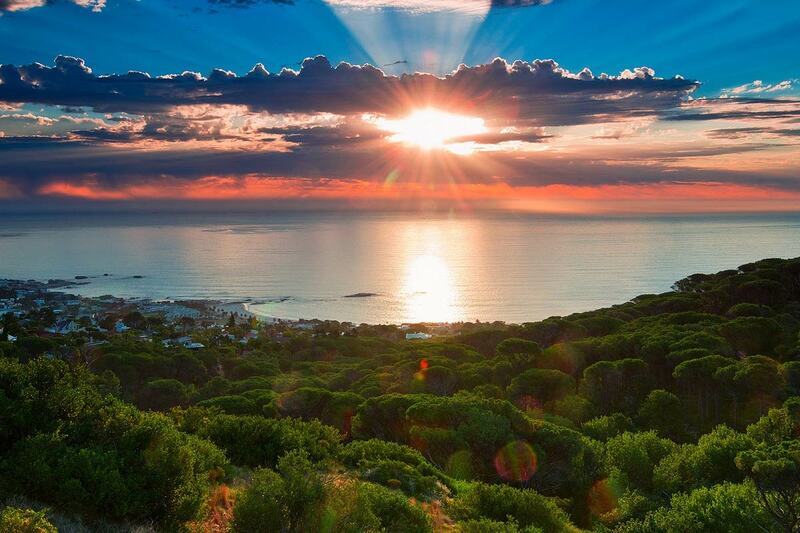 Just across the mountain range, the bright lights of Cape Town also beckon. 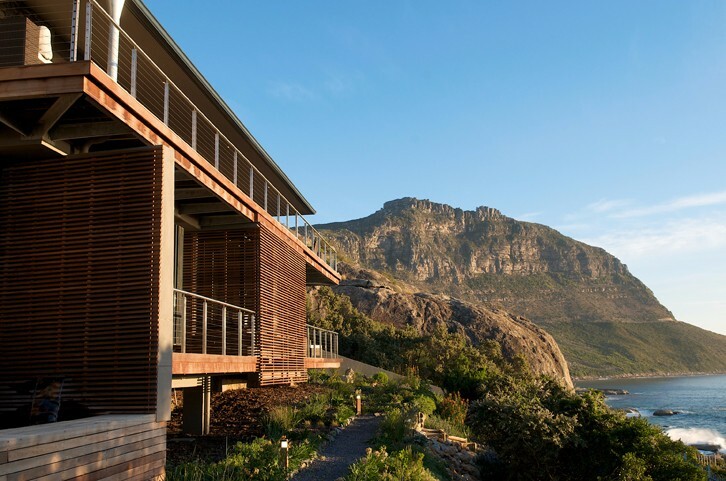 Teeming with life, attractions and activities this city is crowned by Table Mountain. It’s top of the to-do list whether shrouded in cotton candy cloud or bathed in glorious sunlight. 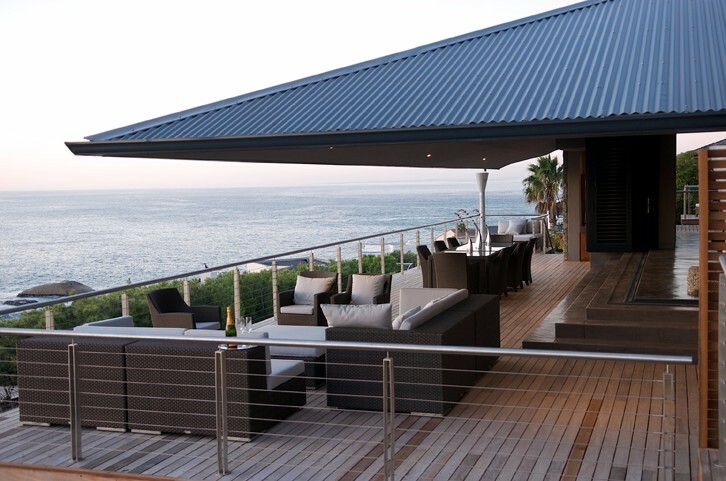 This 5 Star, tranquil, ultra-luxurious and exclusive coastal Sole Use Villa, nestled on the slopes of the Atlantic Seaboard offers unsurpassed elegance and style, the ultimate privacy in contemporary luxury. 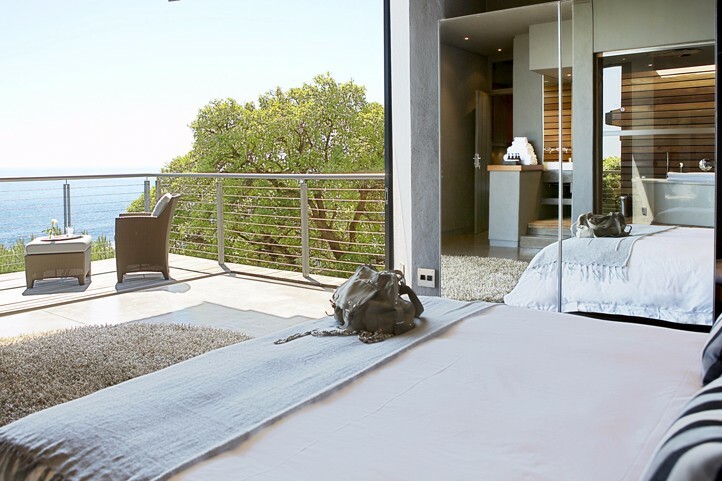 Awake each day to spectacular sea and mountain views from each suite. 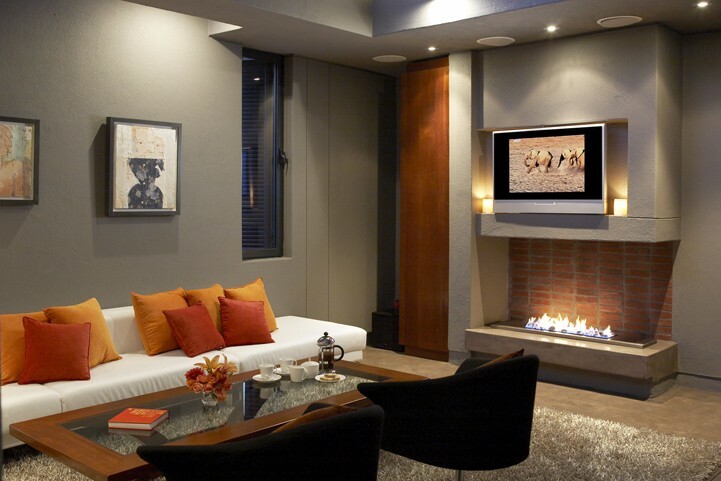 Be over whelmed with a distinct feel for the finer and up market things in life.